Rihanna’s film debut is a memorable one. 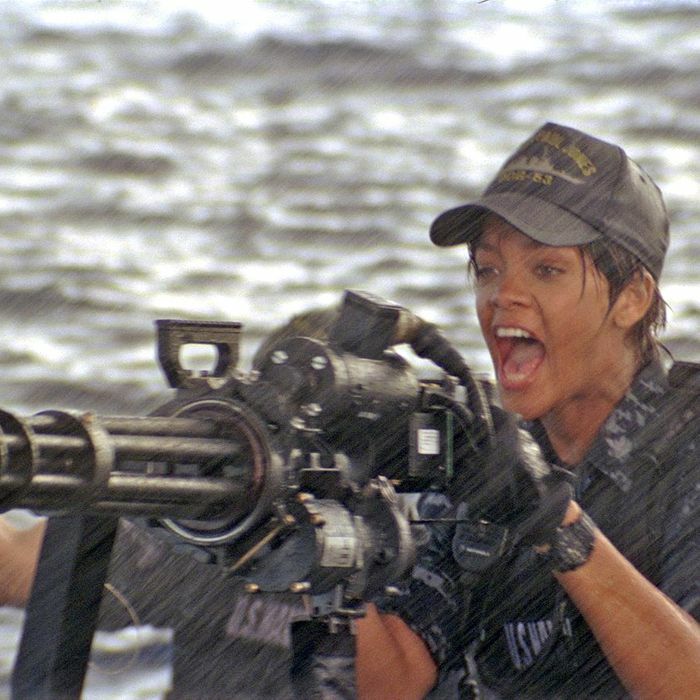 The Barbadian singer is wet for much of Battleship, her Navy uniform is uncommonly flattering, and the majority of her dialogue is composed of exclamations. It’s a veritable master class in one-line utterances. Most of her lines fall into one of several categories: sassy (“Get up, princess!”), confused (“What the hell is that?”), or surprisingly competent (“Contact two miles out”). But enough of this. Let Rihanna speak for herself. “What’s wrong with you, drama queen?